This is something I've been getting to for a while now, and since I'm finally there it's time to share the photos. 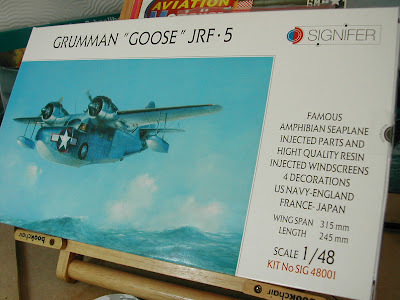 As you can see, it's the Grumman Goose by Signifier in 1/48 scale. An unusual and interesting subject. But is it just like a Classic Airframe kit with a few extra resin bits? The answer to that is a definite no! 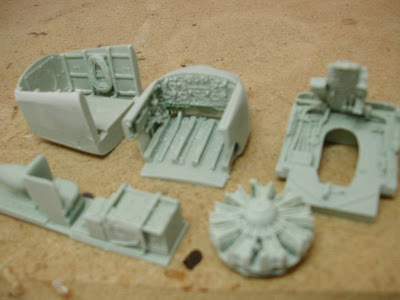 There are a lot of resin parts, all beautifully rendered. The cockpit is possibly the best I've seen - and I've seen a lot of cockpits. I'll post more photos when that part is ready to be fitted. The surface detail is right up there with Tamiya and Hasegawa, and it has superb rivet detail and good texture. The kit contains markings for four countries - the USA, UK, France and Japan. Work has already begun. 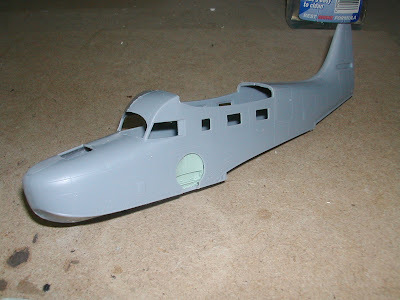 The fuselage is fitted together as an aid to test-fitting the resin cockpit and cabin parts. So, painting is next. I predict a minimum of a week's work on that alone. I'll let you know.